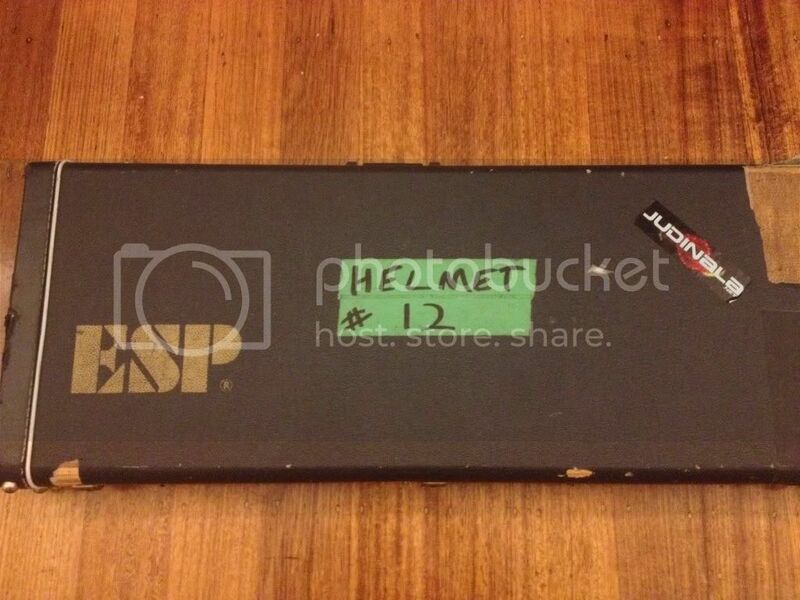 The Official Helmet Forum • View topic - PAGE HAMILTON TOUR GUITAR FOR SALE???? Came across this ebay auction and thought if anyone know if this is legit, BORN ANNOYING would! "This axe was given to one of my best friends by Page Hamilton from Helmet when his band opened for them in Mobile, Alabama during the Meantime tour. 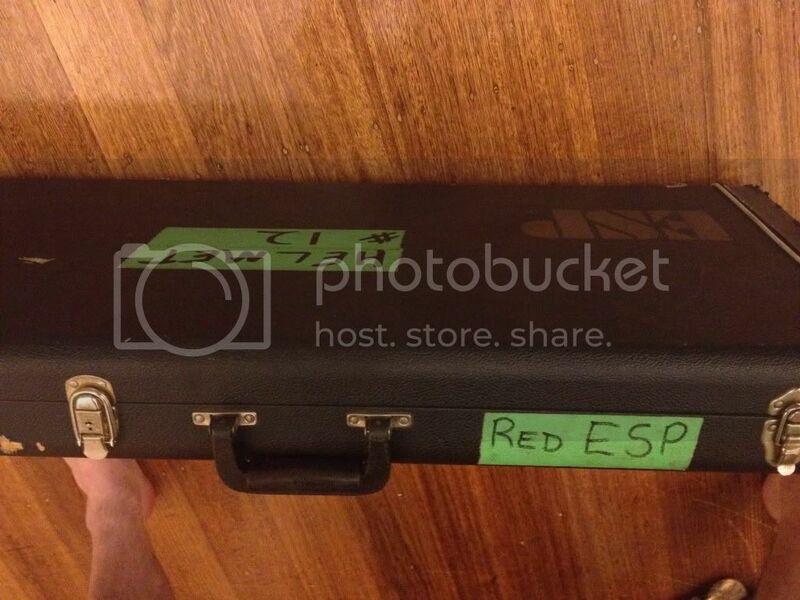 It was one of Page's ESP Customs during the recording/touring of Strap It On and Meantime. This guitar obviously was mostly a studio guitar, and a backup tour guitar, as PH is notorious for thrashing on guitars. This one does show some playwear, but very little. Also some tarnish on the bridge and tuners, again, not bad. I give it an 8/10 for condition. Here is your chance to own a Custom Shop ESP Cockstock Horizon with some history behind it! I will include a hardshell case as well. This one has a gorgeous top and plays like absolute butter. The absolute perfection that is ESP Custom Shop!" 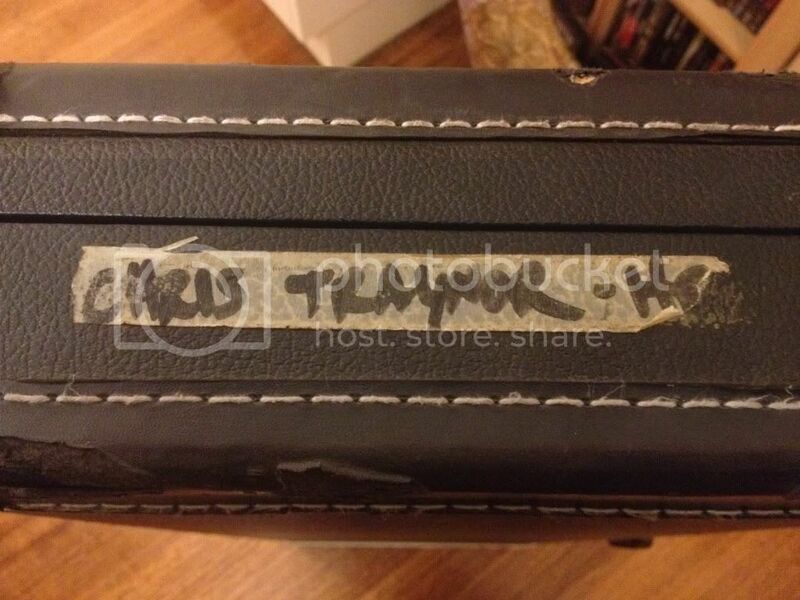 Re: PAGE HAMILTON TOUR GUITAR FOR SALE???? I honestly don't know, but… If you were looking to buy, I'd do some research first. There have been a lot of fake ESPs around, and even if the guitar's genuine, I wouldn't pay a premium for its purported history without some sort of evidence. The seller's story makes it at least a 1989 guitar, so I'd ask around the ESP forum to see whether the guitar looks right for the period. There are guys there that could tell you what the luthier had for lunch the day he made it. As for the story, the only thing that doesn't sit right with me is the EMG pickups – I've never heard of PH using them, but that doesn't mean he didn't. Either way, $2,500 for an ESP of that age seems high (something else the ESP forum can guide you on), so it seems the seller's definitely charging for the guitar's history, in which case I'd want more than his word that it's true. It's Chris Traynor's ESP Horizon from the H.O.A.R.D. US tour in '97 I believe. I contacted Chris through the forum back when he was still in the band and posting in the boards. Gave him all the details and he verified it was his. 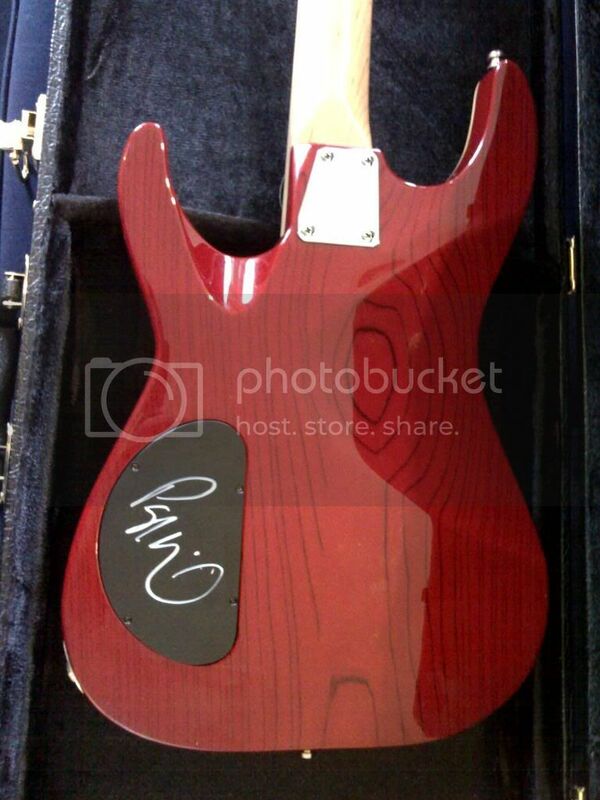 He donated it to a charity auction after the tour along with a blue Horizon. The guy who bought them was doing them up but moved house, lost a bunch of parts and ran into money troubles. Eventually threw them on ebay and I got lucky. 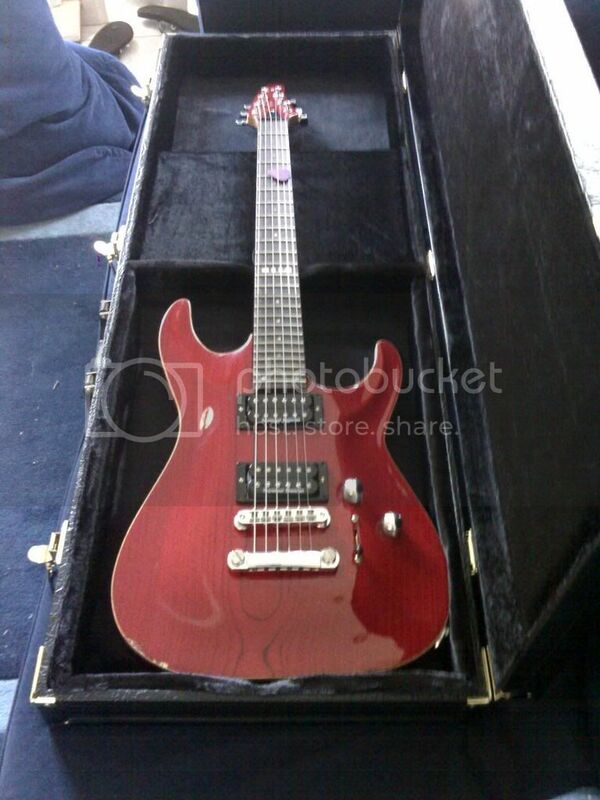 Picked it up for $550 but she was gutted with no pickups, wiring or volume & tone knobs. Spend a few hundred decking it out and now it's a working guitar with some history. Couldn't think about parting with it.